What if we could encourage the youth of today to follow their dreams? Even better, what if there was a way to reward these youths who are relentless in their pursuit of getting that dream career? That’s what the Empowering Ambitions initiative is all about. Created by BlackBerry Malaysia, the initiative aims to showcase Malaysian youths who are living their dream jobs, as well as offer the opportunity for more Malaysian youths to tell their story. What’s more, BlackBerry Malaysia will even reward the best entries! 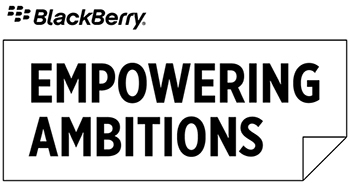 On the Empowering Ambitions website, visitors can upload a 1-minute video to tell the world about their dream job and what they imagine a dream career to be like, and stand a chance to win some amazing prizes such as a BlackBerry Q5 smartphone. Besides that, the winner will also become the face of the BlackBerry Q5! On top of that, the website will also be host to a series of weekly webisodes that follows the story of five young Malaysians who have taken the bold step to chase their dreams. Want to figure out how you can edge over the competition with your video? Let local artists Kyoto Protocol help you with that, as they share their story on chasing dreams. Ready to kickstart your dream career? Head on to empoweringambitions.com.my to upload your videos today! Submissions close on the 9th of October. Win A Pair Of Gold Tickets To The Malaysian Open ATP Tournament Finals With Ricoh!